Anjappar Chettinad is an Indian restaurant in Karama, Dubai. This restaurant serves assorted Indian dishes, which includes famous food from south called Chettinad. This delicious, yummy and spicy chettinad food is accompanied by numerous vegetables dishes. This makes the menu of Anjappar Chettinad quite wide-ranging and thus guests get to choose their dishes from a large assortment. Anjappar Chettinad may not match the fine dining restaurants of Dubai in terms of decor. However, this does not means displeasure, as it has a decent decor and the staff has also kept it neat and clean. Most important of all locals and tourists can savour delicious and quality Indian delicacies from this venue at extremely cheap rates. This welcoming restaurant serves cheap and cheerful delicacies from India, which includes both northern and southern cuisines including vegetarian dishes as well. Moreover, the food offered at this bistro is halal therefore it allures almost all communities in Dubai. Specialities like NatuKoli Curry, Dingri Kabab, Chicken Pakora, Cylone Pratha, various platters and much more is available on the menu of this fine eatery. Friendly staff of this restaurant, serves these dishes to the guests in a very courteous way and those who like to enjoy its food at some other place can opt for Anjappar Chettinad’s free home delivery or carry out service. 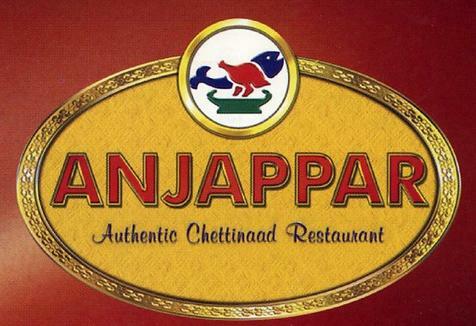 To order the food for delivery or carry out, you can take a look at Anjappar Chettinad’s menu from here. This bistro opens daily and activities begin around 11:30 am and last till midnight. Opposite Lulu Centre, Karama - Dubai - United Arab Emirates. Head south towards Sheikh Khalifa Bin Zayed Street/D 88, then turn slight left onto Kalid Bin Al Waleed Road/D 79 and later make a right turn towards 1st Street. Then turn left onto 1st Street and continue on it until 1st Street turns slightly right and becomes 18 A Street. 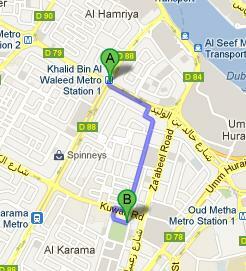 Then turn right onto Kuwait Road, before making a left turn towards 16th Street. After that commuters need to turn right onto 16th Street, from where they will make their final turn towards left side that goes onto 27 B Street, where the destination is located. Schools Health Center 2 – Dubai bus stop is 210 metres away from the Anjappar Chettinad restaurant and it will take a bus user 2 minutes time to complete this journey on foot, if he or she heads north on 16th Street after arriving at this bus station and then turn right onto 27 B Street, where this bistro sits. Bus numbers 33, 42, 44, C3, C5 and 83 serves this bus stop. See the map for directions.